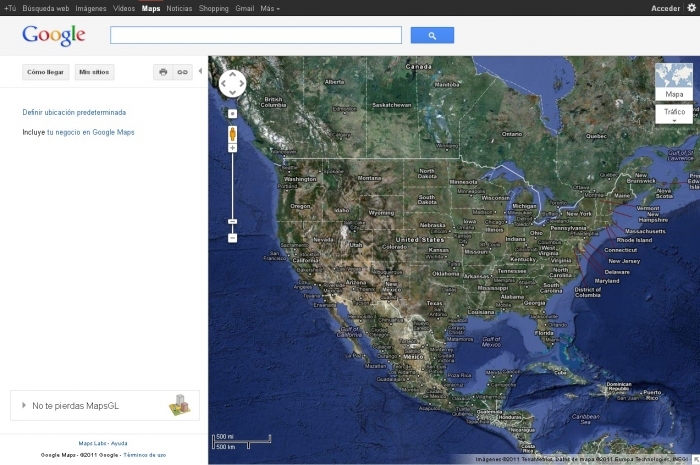 Google Maps is a multimedia map in which we can move easily with the mouse. Come closer on the map to see closer detail. Easily reach a site, just put your departure location and destination you want to achieve, and Google will plot the best route. You can change the way dragging. Will mark the route as you choose transportation: car, public transport or on foot. You can share this information by copying the link. Or insert it using the html code to your website. You can view the map in normal mode or Satellite. And the Google Earthpodrás siinstalas view the map in 3D. Can activate visual aids such as traffic information, pictures, weather, webcams, videos, wikipedia, labels and routes. Also if you have a Google account you can create your own guides, save specific sites, and share all this information.